If you’re looking for a new fountain pen, the Black Baoer 388 fountain pen is a great option. With timeless looks and reputable reliability, this pen is perfect for everyday writing or for collectors. With a smooth stainless steel medium nib, this Black Baoer Fountain Pen offers an amazing writing experience. 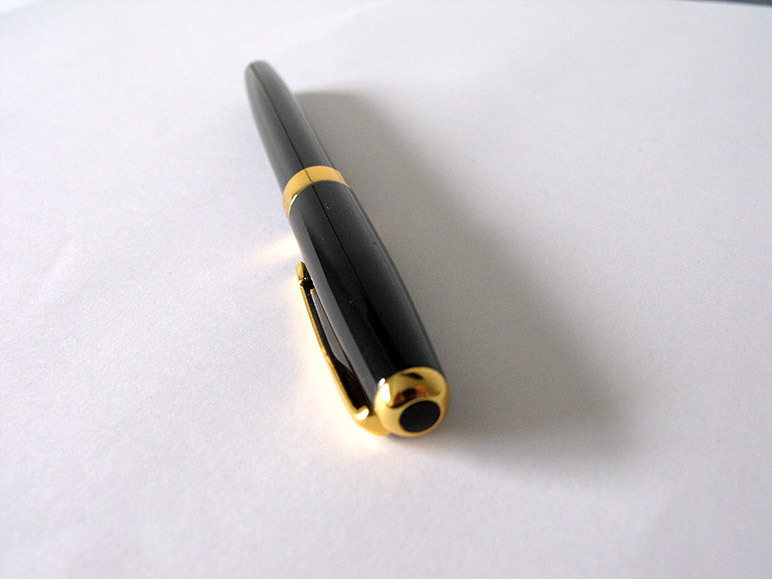 You’ll appreciate the simplicity and smoothness you’ll get with this pen. It already comes with an ink converter and you always have the option to use international sized ink converters. The attention to the details is evident in this pen, so it looks and feels like a much more expensive pen. If you order one of these pens, you can easily use any bottled ink of your choice since the Baoer 388 brings an ink converter. If you have some international cartridges laying around you can also use them in this pen. Made of metal this Baoer 388 weights around 29 grams. 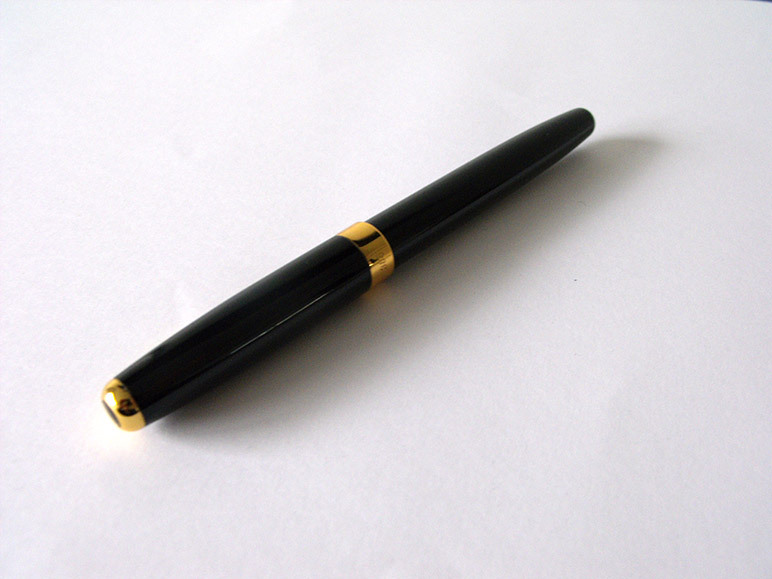 The full length of the pen is around 134mm and you can write with it capped. You can easily personalize this Baoer 388 Fountain Pen to your preferences. You can easily get a completely different writing experience with it by replacing the nib. If you’re interested in getting the most out of your new fountain pen, check our replacement nibs. This pen is 100% compatible with our size #5 replacement nibs. This entry was posted in Baoer, Fountain Pens, Handwriting. Bookmark the permalink. Got one of these Baoer 388 with a 1.1 custom nib from you. And wow, It’s my favorite pen! Good job. Looks great. Only have one Baoer pen but it’s a pretty decent pen. Great value for the price. Thank you Glenn. I agree with you.